LG may have released more high-end smartphone models this year than any other reputable Android mobile device vendor, but that doesn’t mean the company’s 2017 flagships should be altogether ignored. Not yet, at least, and certainly not around the holidays, when new and old gadgets tend to become cheaper than ever before. That’s already the case of the unlocked LG V30+, which is available today (and only today) on Amazon for an all-time low price of $399.99. That’s marked as $260 off the 6-inch handset’s list price, although believe it or not, Best Buy currently charges a whopping $743.99 for the exact same device. Even B&H Photo Video, which is typically rather generous towards LG smartphone buyers, has this late 2017-released powerhouse fetching $679.99. Granted, we did see the LG V30 priced at an even lower $374.99 on eBay recently, but that was the non-Plus version accommodating just 64 gigs of data internally. It also came without a valid US warranty, unlike the $400 V30+ you can get on Amazon right now, which includes standard 12-month coverage while qualifying for a free second year “promise” (with registration) as well. 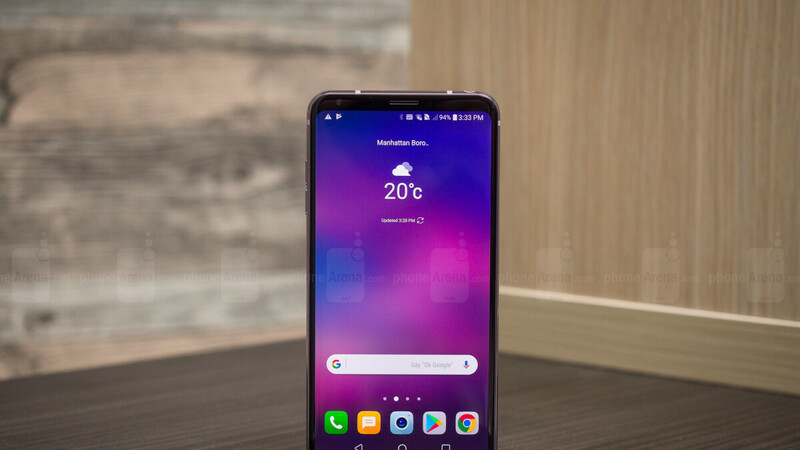 The LG V30+ on special offer is coated in black, featuring 128GB internal storage space, a robust IP68-rated design made from metal and glass, a snappy Snapdragon 835 processor, 4GB RAM, and two still-great rear-facing cameras with 16 and 13MP sensors. Technically, this is a third-party deal where Amazon partner Breed handles both sales and shipments, but as far as third-party retailers go, that’s definitely one of the most trusted companies you can do business with. We’re talking 3,800+ ratings in the last 12 months, with a 94 percent positive customer reaction. Finally, in case you’re wondering, there are absolutely no wireless network restrictions here. You can take this unlocked phone and activate it at whatever carrier you prefer, including AT&T, T-Mobile, Sprint, and Verizon.